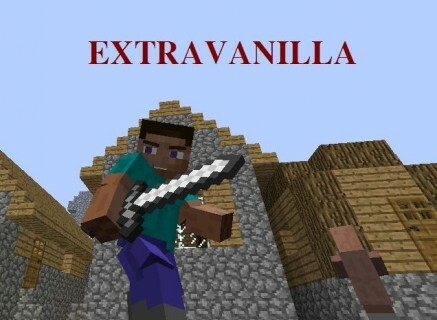 ExtraVanilla is a good mod that I started making for myself, but realized it would be quite useful for others. This mods adds Compressed Blocks that will make storage easier and and more compact. These Compressed blocks will also have uses in future updates that i am still planning out. I also add the ability to cook seeds for cheap and easy to get starter food. In ExtraVanilla there are also some tweaks and some to come where you can reverse engineer blocks, such as turning wool into string. I have also added the ability to make rotten flesh into leather, but it’s not a straight conversion. There is much more to come so I hope you try it out and leave some suggestions.